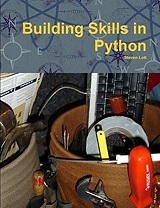 This book is a complete presentation of the Python language. We'll lead you from a very tiny, easy to understand subset of statements to the entire Python language and all of the built-in data structures. Professional programmers who need to learn Python are our primary audience.